With the VPL-HW30ES, enter a new era of ultra high quality 3D imagery, accessible at an affordable price. Packed with the very latest innovative features which are easy to use and control, you can experience enhanced immersive 3D movie content without having to leave your sofa. 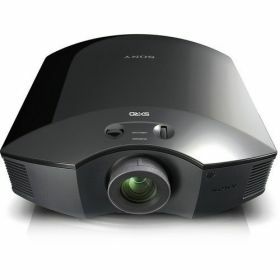 With this projector, you can experience the award-winning combination of Sony's explosive 3D imagery and our new, unique Dynamic Lamp Control technology. Dynamic Lamp Control boosts the appropriate brightness when each of your 3D glasses’ shutters flicks back open. This means that you will not lose any brightness and attain the optimal visual experience from the comfort of your own home. When you're viewing your favourite film, or even trialing the latest release - you want to know that you are watching the action the way it was meant to be seen. Sony’s SXRD panel technology minimises the gaps between pixels for sharper, stunning image quality. Motionflow automatically inserts extra frames between the images to improve the smoothness of the film, and makes action scenes and character movements flawless. Since the previous model was launched, we have strived to achieve even better. 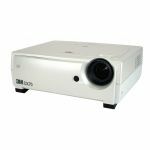 This projector now allows you to pre-select separate parameters for 2D and 3D content for Dynamic, Standard, Photo, Game and Cinema modes, as well as automatically recognising 2D or 3D input. You can customise your viewing, to match the room specifications, along with the content type. The VPL-HW30ES has integrated 3D with frame-sequential 3D USB-chargeable glasses and a transmitter. This transmitter will activate the 3D mode – and bring your content to life. This product comes with PrimeSupport – fast, hassle-free repairs and a helpline offering expert technical advice. Which gives you the peace of mind that Sony is looking after your equipment, and your business. 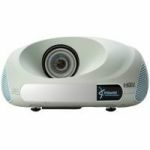 With VPL home projectors, PrimeSupport also includes a free loan unit – of similar specification if repairs are likely to exceed 10 working days, minimising your disruption. The VPL-HW30ES delivers 3 times the brightness of the VPL-VW90ES through its new lamp and electronic technology, also giving better light efficiency for time sequential 3D pictures. SXRD panels minimise the gaps between pixels to 0.2μm for sharper, dot-free images, making it possible to reproduce up to 240 frames per second. The opening and closing of the shutters on the 3D are synchronised to ensure that each eye receive the correct image, thus reducing Crosstalk to a minimum. The result is stunningly detailed, high-definition 3D images that you believe you can reach out and touch. Motionflow technology allows the VPL-HW30ES to display twice as many images per second. This algorithm, unique to Sony, creates completely new images based on the incoming signal, and inserts them between the original frames to reproduce smoother, sharper motion. When each of the shutters on your 3D glasses opens, Dynamic Lamp Control Technology automatically boosts the brightness in the image to that eye, maximising the picture’s impact and the lamp’s efficiency. The VPL-HW30ES allows you to pre-select separate parameters for 2D and 3D content under a variety of application modes – Dynamic, Standard, Game, Cinema and Photo – as well as automatically recognising 2D or 3D input. This is an automatic Iris control feature that enhances the contrast in accordance with the scene. It maximises black and white levels without diminishing peak brightness. The VPL-HW30ES runs very quietly with an advanced air discharge system. Through a highly efficient cooling system, fan noise is suppressed to a mere 22dB. With whisper-quiet fan noise, users can concentrate on a movie or game in a quiet environment without distraction. The VPL-HW30ES is supplied with a new remote commander, with backlit buttons for ease of use in darkened rooms, one-touch control for many popular adjustments (such as picture mode, 3D and picture lens memory) and easy grip for practical convenience. The VPL-HW30ES has an adjustable ‘Lens Shift’ function. 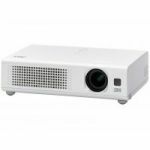 Picture position (both horizontal and vertical) can be easily adjusted with the manual adjustable ‘Lens shift’ function, which expands the projector's placement and installation options without distorting image quality. - Horizontal range : Max.+/- 0.25H. The VPL-HW30ES is configured with a function that compensates for gaps in character or colour management. It is possible to select R(Red) or B(Blue) to make adjustments based on G(Green), and to adjust the horizontal and vertical direction by shifting the full image or selecting zones of each colour. The VPL-HW30ES offers an "RCP (Real Color Processing)" function to adjust the colour and hue of each target colour of the projected picture independently. Additionally, version 2 adds the ability to adjust the brightness at the same time. With this capability, dealer and enthusiastic users can tweak the images to perfection. Incorporated High quality Engine in the VPL-HW30ES is a fully digital integrated picture enhancement engine, optimally engineered by Sony for front projectors. This high quality Engine relies on a collection of Sony-unique algorithms such as noise reduction and colour enhancement to produce sharp, vibrant, life-like images. BRAVIA Sync simplifies and enhances the home theatre experience. Through the control capabilities of HDMI (High Definition Multimedia Interface), the devices sync with one another for intuitive operations such as One Touch Play and System Stand-by.